in the Community Centre (opposite St James' Church) -all are welcome. Have you given up on church services? Many people have - stating that 'they are not relevant', they are 'at the wrong time', the 'sermons are boring', they 'didn’t feel welcome', even… 'the church are only after their money'! 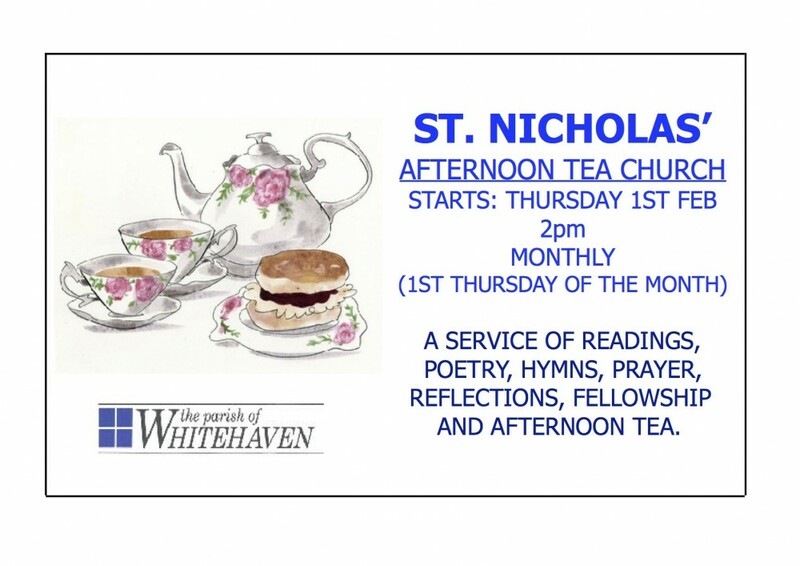 This new Parish Initiative will be at St. Nicholas' every Tuesday from 4pm to 5pm- food parcels for those who need them. 'Take what you need - pay what you can'. no need to book - just turn up. We are a church based group who distribute food sourced from the Fareshare initiative to help give those in need within our community a helping hand. We achieve this by paying a membership fee each week to receive the food supplies not just for redistribution for those, who need it, but to provide meals and snacks. The food supplied can be fresh, frozen, canned, store cupboard staples or ready meals depending on availability at the Preston distribution centre.